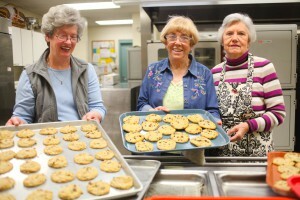 PrimeTimers play a big part of our Senior Adult Ministry here at Snyder. 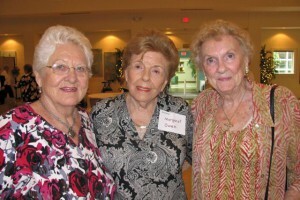 This group meets once a month for a program of interest to seniors. After the program, the group shares a meal of fellowship together. PrimeTimers meet usually on the fourth Thursday of each month at 11am. For more information about PrimeTimers ministry contact Owen Widman or Myra Parker, Co-Presidents. Meet each Thursday from 1-3pm on the Mezzanine in the Gathering Hall. This meeting is for anyone over 50 who is interested in playing dominoes, bridge, and other games. Join us also monthly for bingo with prizes awarded! For more information, contact Patty Thomson. Intercessory Prayer is an act of love. Snyder’s Prayer Ministry, since its beginning, has now prayed in excess of 40,000 prayers for over 650 people. Volunteers have the unique opportunity to see Gods hand at work on a regular basis. Each volunteer goes down the list praying for each person and their need. Is this your missional purpose? If so, please contact Jim Nance. There are a number of our seniors who cannot make it out of their own home any longer. Some of them are even now staying in nursing facilities. At Snyder we don’t forget those who can no longer come to programs at the church or make it on trips. We have a ministry team who makes visits on a regular basis to our Homebound. Spending time with these folks and even taking them out for lunch or a drive are some of the services our Homebound ministries offer. For more information about our Homebound ministries contact Faye Bulen. Another group of members keeps in regular contact with older members who need assistance in securing groceries, need transportation to doctors, or running other errands. They often provide food when these folks are sick and visit and call these folks to provide opportunities for fellowship and contact with the outside world. Contact Donna Oswalt.